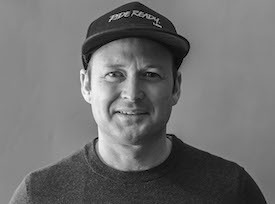 LEM Helmets, manufacturer of safe, stylish, and performance-driven cycling helmets for road, mountain biking, commute, and kids, welcomes Keith Cozzens to the team as global brand marketing director. Bringing more than a decade of brand communications, PR, and marketing experience in the bike, outdoor, active lifestyle, and action sports industries to LEM, Cozzens will lead and grow the young brand’s global marketing strategy and tactics across various platforms and markets. Most recently, Cozzens was a senior director at Verde Brand Communications where he led the agency’s business development and strategy for clients. Over his 9 years at Verde, Cozzens managed media relations and creative brand communications for leading brands in the outdoor, bike, and active lifestyle industries, such as: Kona Bikes, BMC, Accell North America, K2 Sports, Cascade Designs, KEEN, and Backcountry.com – including its former pro cycling teams RealCyclist and Competitive Cyclist. At LEM, Cozzens will focus on brand integration and marketing across all global markets and touchpoints while working closely with the teams in the U.S., U.K., and Spain. He will also oversee and support branding, communications, social and digital marketing, ecomm, events, media and agency partnerships, and ambassadors/influencers. LEM’s flagship family of products includes seven distinct helmets and 50 colorways in the road, mountain bike, commuter, and kids categories. The brand will introduce new, highly-featured road and mountain bike helmets later this year which will compliment its existing collection and further illustrate LEM’s strong product design and development capabilities.